Soroptimist International of Vancouver (SI-Vancouver) is celebrating its 90th anniversary on April 24th between 12:00 p.m. to 4:00 p.m. at the Fairmont Hotel Vancouver. Exactly 90 years ago to the day, in the same place, a pioneering group of women came together. They were the women who had cut their hair, raised their hemline, thrown away their corsets and stormed their way into the business world. And 90 years ago what did these women want? To help other women and over the years they have done just that. Almost immediately they joined with other pioneers, the first policewomen in Vancouver, and took over from them the operation of a hostel for low to no income women. Over the decades this eventually morphed into the 21-unit building on West 13th that opened in 1960 for low-income female seniors. 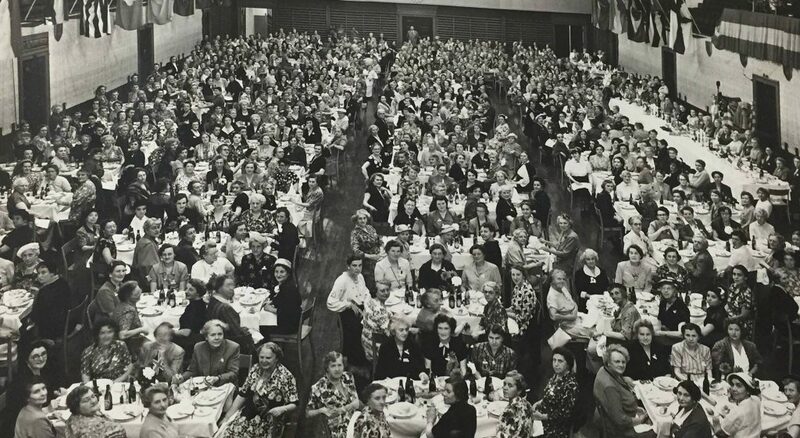 At a time when women could not get a mortgage in their own name, they became the first and possibly only, women’s service club to fund and run such a facility in Canada. Over the years, SI-Vancouver has sent thousands of food and clothing parcels to the United Kingdom both during and after the war, donated generously to other service clubs, and partnered with Kiwanis to open another 90-suite facility for low-income seniors in 1976. Every year SI-Vancouver awards money to fund ongoing education for women who are the financial heads of their households. So, it is time to celebrate. The 90th anniversary event promises to be a fun time with emcee Fred Lee, a decadent high tea, a silent auction, an awards presentation and much more. Proceeds from the event will be directed towards SI-Vancouver programs for women and girls. Tickets are available through the website www.soroptimistvancouver.org or by email at contact@soroptimistvancouver.org. Soroptimist International of Vancouver is part of Soroptimist International of the Americas. Headquartered in Philadelphia, Pa., Soroptimist is a cause-related federation of clubs improving the lives of women and girls through social and economic empowerment, with 32,000 members in 20 countries and territories. For further information, please contact: Jenn MacIntyre at contact@soroptimistvancouver.org.